This is just a short summary of our services. Needless to say, I'm a native English speaker. I also speak some Greek. You'll also find information in English about me at australia.ayurweda.de . I endevour to help you with all sorts of medical problems. My background is that of an ayurvedic (traditional Indian medicine) physician. Later I studied oriental medicine and later still a Bachelor of Health Sciences incorporating two years at German medical school. From 1994 on I was a member of the Australian Traditional Medicine Society. Today I'm a licensed naturopath in Germany. Naturopaths in Germany are allowed to do lots more than in Australia or just about any other country in the world. I'm allowed to give injections and intravenous medication. I'd even be allowed to perform surgery, only drawback - I'm not allowed to give you an anaestetic. The treatments used in the clinic are leech therapy, neural therapy, chelation therapy, haematogenic oxygenation therapy (H.O.T. ), currency treatments like Beck and Clarke frequencies but also galvano and others. I use bach flowers, homoeopathy, herbal medicines, ayurvedic treatments, hypnosis, cupping, remedial massagen, nutrition and much, much more. I also work with biological cancer therapies. For that I use the RGCC laboratory to find the most effective substances to treat YOUR cancer. I work along the lines of Gerson, Budwig, Breuss and I use tapping, the unseen therapist, hypnosis, mesmerism and counselling. I explain things to you and I try to be your partner in your journey to health. As a trained counsellor, I'll try to put you in touch with your inner resources. If you haven't already, you'll learn to meditate use progressive muscle relaxation or autogenic training. It's you're journey but if you want to change the destination (in case of cancer an untimely death) you'll have to change the direction you're going in. Diagnosis is via pulse, tongue, inspection and laborotary based. 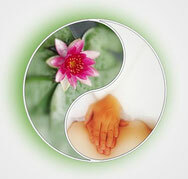 I work with doctors, physiotherapist and dentists to restore your health as far as your soul permits. If you want to come for a consultations, no problem, there is a lovely and very affordable B & B only 100 meters from the clinic. We're in the south-East of Germany, near the Austrian and Czech boarders. The nearest city is Passau. The nearest airports are Linz, Vienna, Munich. Just send me an Email and I'll ring you to answer your questions and help you arrange things. Under "Kontakt" you find a google maps of where we are.